The first British treaty with Korea was signed on the beach at Inch’on, the port of Seoul, in June 1882. It had been negotiated by Vice Admiral George Willis and was quickly condemned on all sides. The British government entrusted Harry Parkes, the minister in Tokyo, with re-negotiating the treaty from scratch: he sent William George Aston from his staff to Seoul to do so. A new treaty was signed in November 1883, to come into force in April 1884. 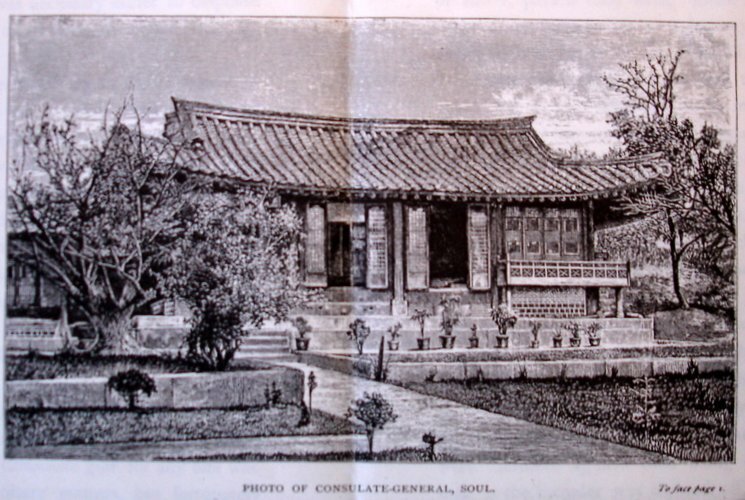 Aston stayed on in Seoul as consul-general and was keen to buy the Korean house that he was leasing. It was admirably well located in the Chong Dong area, on a gentle slope with a fine view over the town. 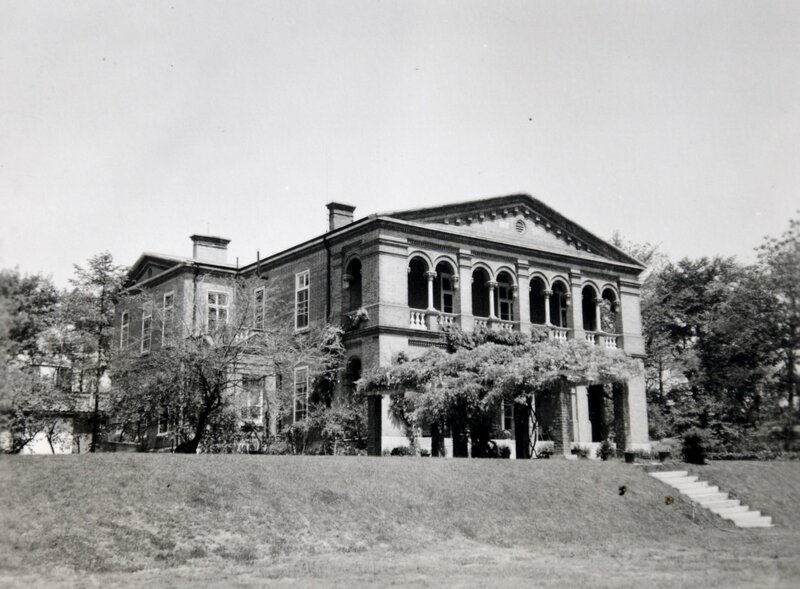 Although it was a Korean house consisting of six separate buildings plus stables and godown, and the dining room was twenty yards from the drawing room with no covered communication between them, Aston thought that its purchase would be a good investment. It was also important to settle the matter before the arrival of the German, Italian and Russian representatives. The Treasury, sceptical that Korea was worth bothering with at all, initially disagreed but relented in September 1884. Slowly, the idea of new buildings on the site was accepted by the Treasury. 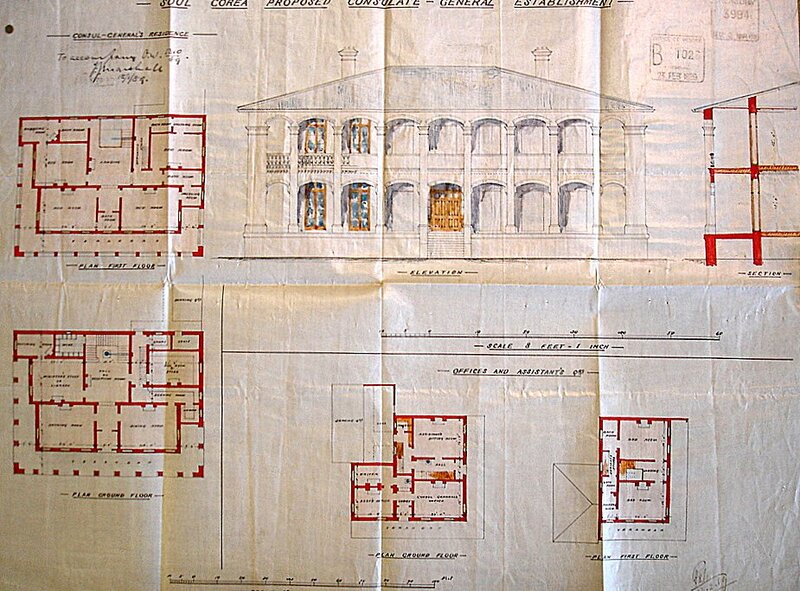 Francis Marshall, the Office of Works’ surveyor at Shanghai, submitted sketch plans in 1889 for two buildings, the residence and House No.2, as it was always called, which had the offices on the ground floor and the Assistant’s quarters on the first. Marshall bought 300,000 red bricks at about $10 per thousand, but reported with frustration in January 1890 that the contractor had only got 50,000 bricks to the site before the river froze. Marshall also made his order for materials from the UK: steel joists for verandas, galvanised ironwork for gutters, ironmongery, locks, hearths, and a leaded light for the staircase. Joinery work was put in hand in Shanghai. A start on site was authorised in May 1890, with Scott and Campbell, the consular assistants, being called upon to supervise the work on site. The consul-general, Walter Hillier, moved into another building on the site, and his wife laid the foundation stone on 19 July 1890. 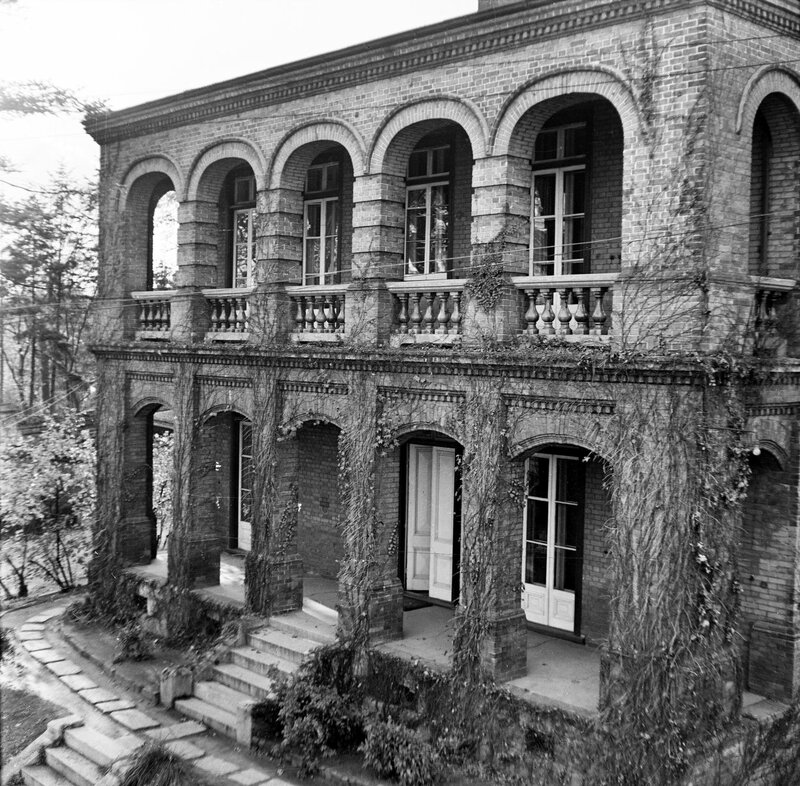 The walls were completed in September 1890 and the residence occupied in October 1891, and House No.2 in May 1892. King Kojong, who had a palace next door, took a great interest in the building and wanted Marshall to build him another like it in the palace grounds. London unhelpfully said that Marshall was too busy to spare the time. 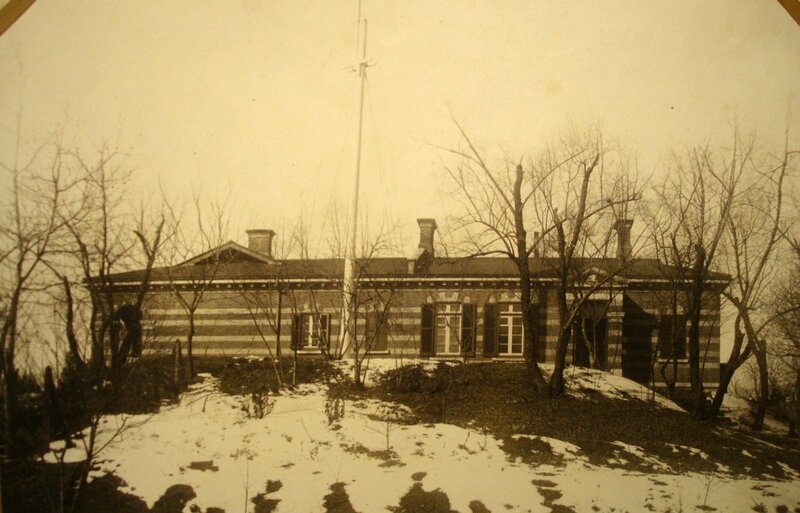 The need arose at the end of the 1890s to station a permanent guard of two officers and 20 men at the consulate-general. 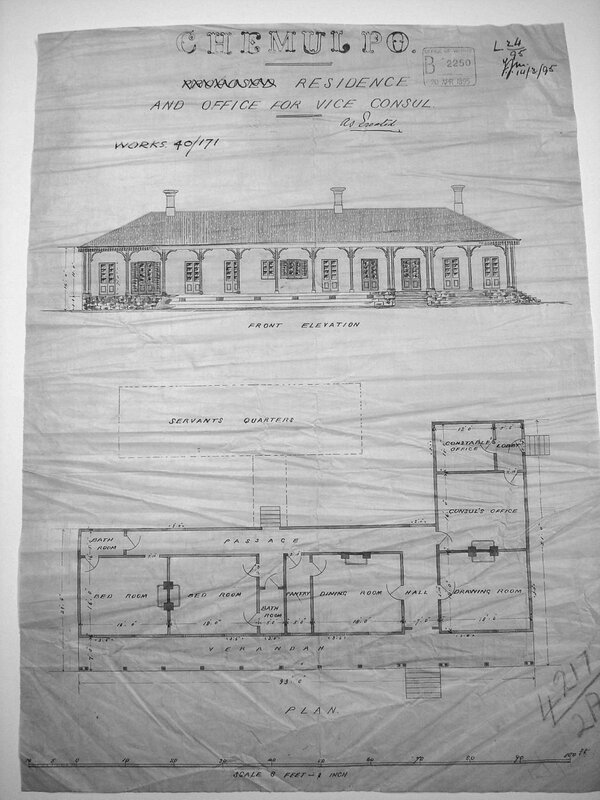 There being no building available to house them, Marshall in 1899 proposed a plan for a small barracks, a piece of land at the entrance to the legation site was bought in 1900 from the Society for the Propagation of the Gospel in Foreign Parts, on which the building was completed in 1903 (and sometimes later called House No.3). The Post was upgraded to the status of a legation in 1901, but this was withdrawn in 1906 when Korea became, in effect, a Japanese protectorate, and the Post reverted to a consulate-general, this time under the control of the embassy in Tokyo. The guard was no longer required and the barracks were converted into offices. 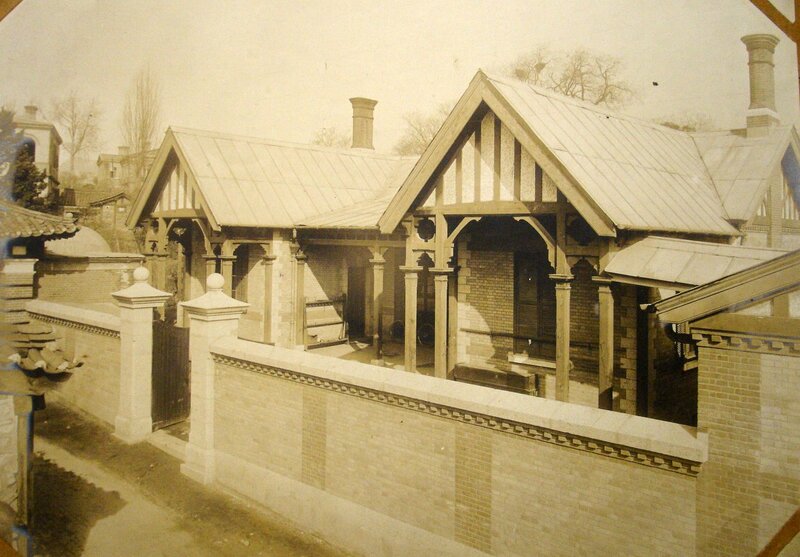 Some minor entrance and boundary adjustments to the compound were executed in 1911. In 1910, Korea was formally annexed by Japan and remained under Japanese administration until the Second World War. The staff were evacuated in 1942, the buildings boarded up, and Switzerland became the protecting power for the rest of the war. The largest of the several separate consulate-general structures, 1880s. Marshall’s early proposal for a new consul-general’s house and Assistant’s quarters, 1889. Location plan of legation compound, 1880s. Barracks at compound entrance, built 1903. 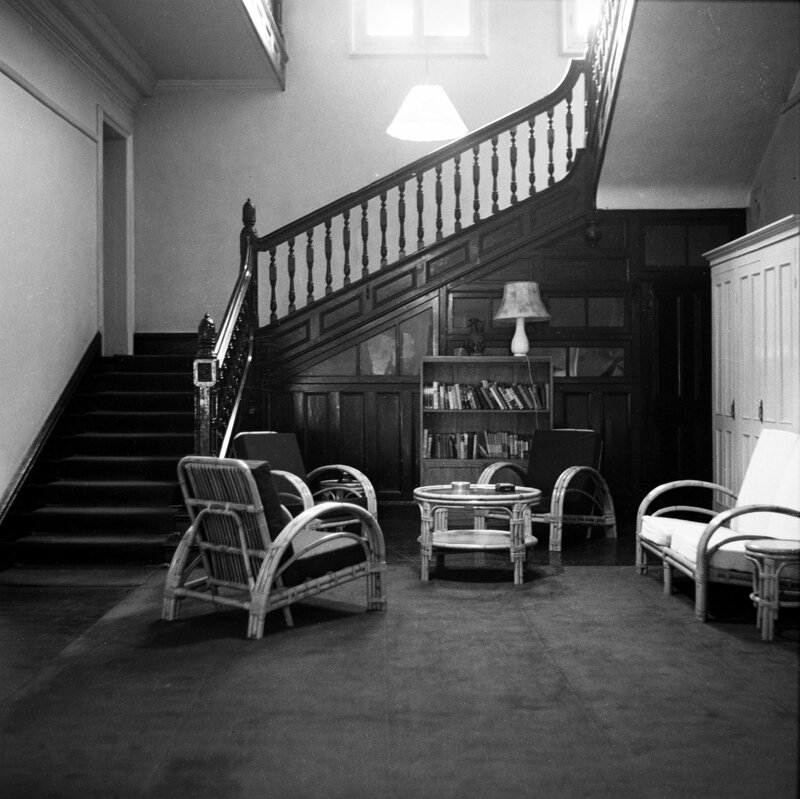 No.1 House stair hall, 1956. The Post was gradually re-established after 1946, and the worst of the depradations of time to the buildings and grounds dealt with. In 1948, the two halves of Korea proclaimed themselves separate republics – the Republic of Korea in the south and the Democratic Republic of Korea in the north – and each claimed sovereignty over the whole peninsular. In 1949, the Post regained the status of legation. Seoul was captured by the North Koreans in 1950 and the legation moved to Pusan for the duration of the Korean War, 1950-53. The compound buildings escaped serious damage during the war. 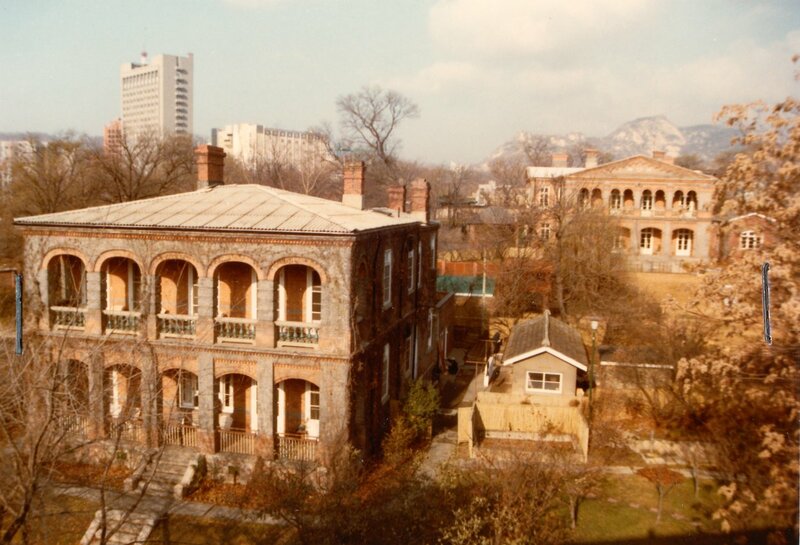 The legation formally re-opened in Seoul on 27 January 1954: it was upgraded to an embassy in 1957. The legation buildings were extremely crowded and uncomfortable in the mid-1950s because the devastation of the city meant that there was no accommodation to lease and the few hotels were far too expensive. The 10 UK-based staff and all the offices, were crowded into the three compound buildings. The minister (the only one to be accompanied by his wife) shared the residence with three senior staff, and junior staff and offices occupied the other two buildings: none had more than a bed-sitting room and everyone messed together. 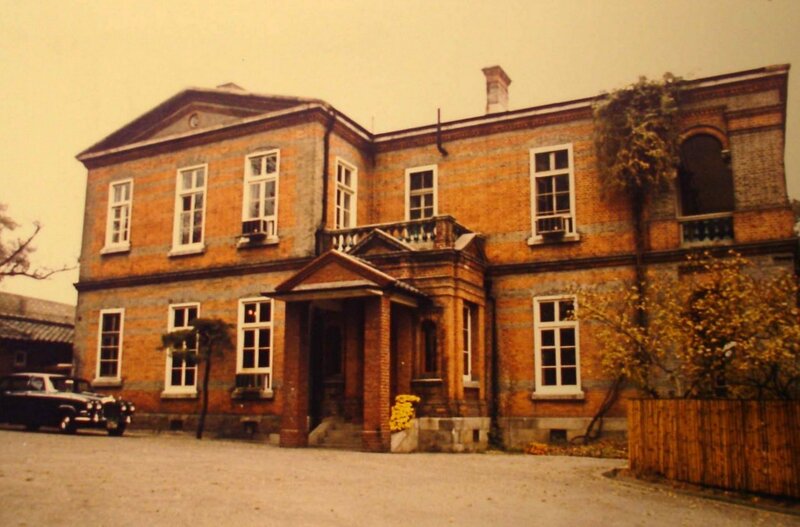 A very simple additional brick building was thrown up to ease messing arrangements, followed in about 1957 by some single storey offices with staff quarters above near the south-east, downhill, end of the compound. House No.2 was then re-arranged to provide a flat on each floor. In parallel, the original buildings were gradually rehabilitated after 15 years of vacancies and exceptional uses. Later, the residence porch was extended in 1965, a swimming pool and an enlarged terrace were built in 1974, and a new dining room added in 1980 [? Enlarged in 1988 prior to the Olympic Games]. 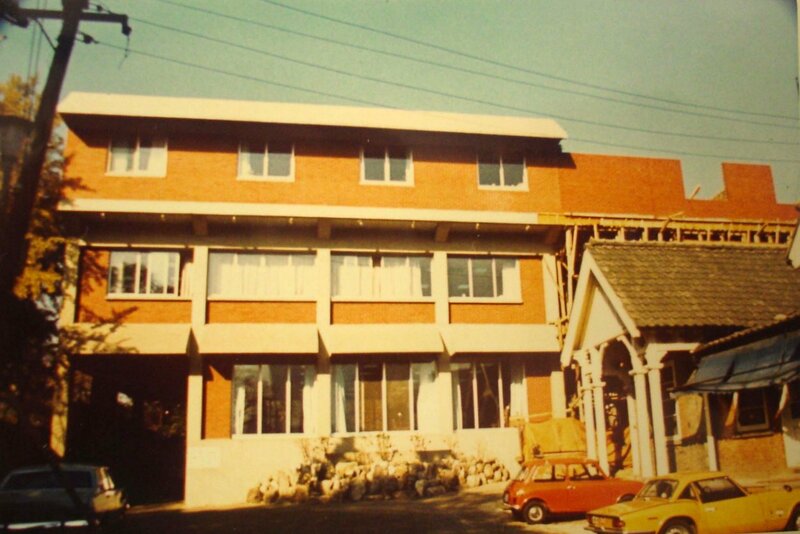 The 1950s offices were soon outgrown, and a new three-storey building was constructed across the width of the compound in 1974, with the roadway from the entrance to the residence passing through its southern end. It was built in sections from the south boundary so that the earlier office buildings could remain in use while the new ones were being built. The result was not a very successful building: its flat roof was prone to leaking, the senior staff apartment on the second floor was soon commandeered for offices and, by the late 1980s, the whole building was too small. It was extended in 1992 and the former building re-roofed and refaced [check] to match the new extension, at a cost of about £4m. It was formally opened by the Prince and Princess of Wales on 2 November 1992: its main hall for events is fittingly called Aston Hall. I am indebted to James Hoare’s Embassies in the East: the story of the British and their Embassies in China, Japan and Korea from 1859 to the present ( Richmond: Curzon, 1999) for invaluable background about the Seoul compound. 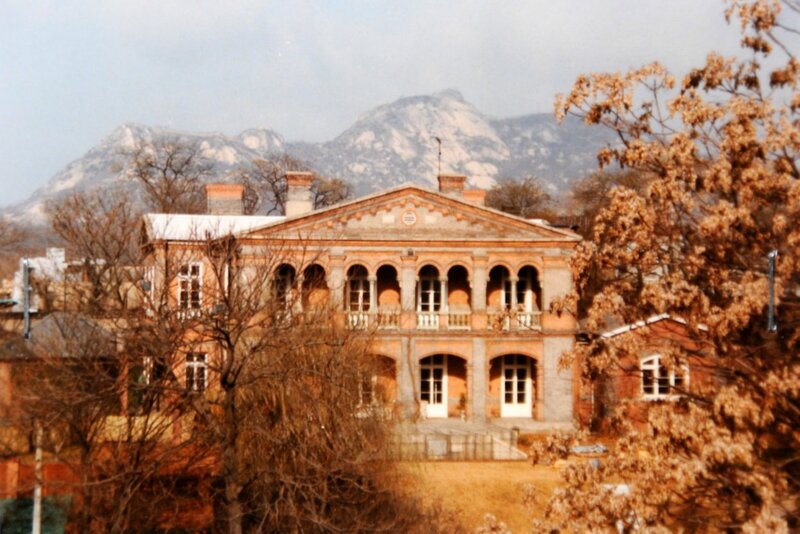 House No.1, the ambassador’s residence, 1980s. New offices under construction, 1970s. Looking north-west up the compound from the roof of the new offices, 1980s. The chief seaport of Korea, opened to foreign trade in 1883, now a suburb of Inch’ŏn, the port for Seoul. A consular site on high ground with good views was leased in perpetuity, though the lease was not formalised until 1887. Designs for consular buildings were produced in 1884 in Shanghai in Marshall’s absence by his draughtsman, Donaldson, who nervously sent seven alternatives to London for decision, but it seems that none of these schemes was built. A more assured scheme was designed in 1895 for a different part of the site, whose address became (in Japanese) Minatomache 1 chome, and was completed in 1897. This was a single-storey bungalow, with alternating bands of red and a lighter brick, with a full-width veranda behind brick arches, sitting on top of a mound. The perpetual leasehold was converted to freehold in 1914 after the Japanese took control. The post was abolished in 1922 and the building sub-let to Mr WG Bennett, who became the British consular agent in 1925 and served until 1941. 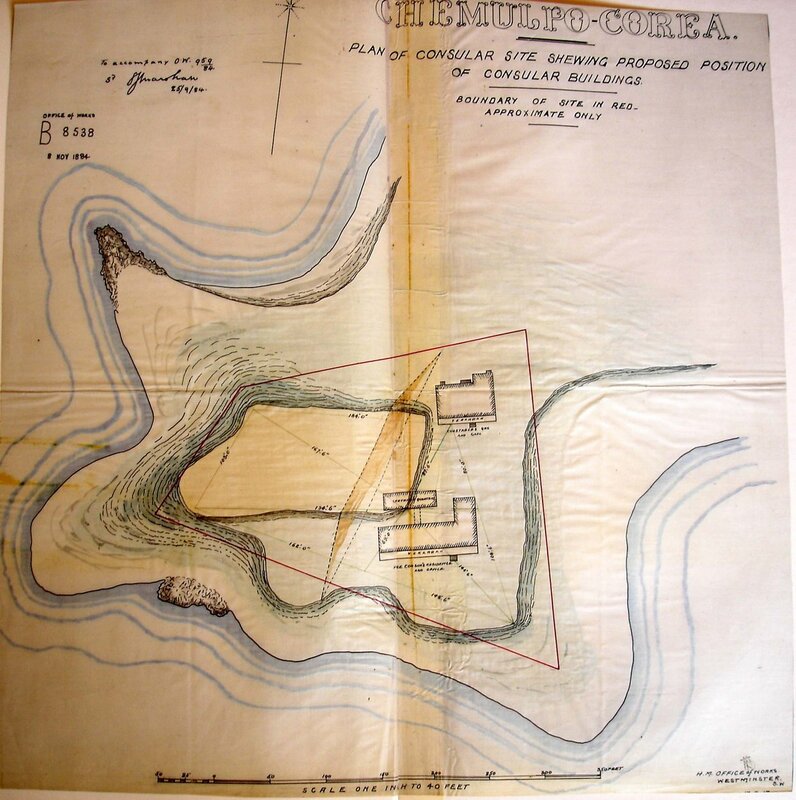 Early site plan for proposed consulate, 1884. Marshall’s approved drawing for consular building, 1895. Front veranda of consular building. 1900s. This seaport, on the west coast, and on the north side of an inlet about twenty miles from its mouth, was opened to foreign trade in 1897. A lot of about a hectare in the foreign settlement was leased in perpetuity in 1899, and converted to freehold in 1914 after the Japanese took control. No buildings seem to have been constructed, and the site was sold to the Prefecture in 1924. Pusan was a walled city at the head of a good harbour and was opened to trade in 1883. 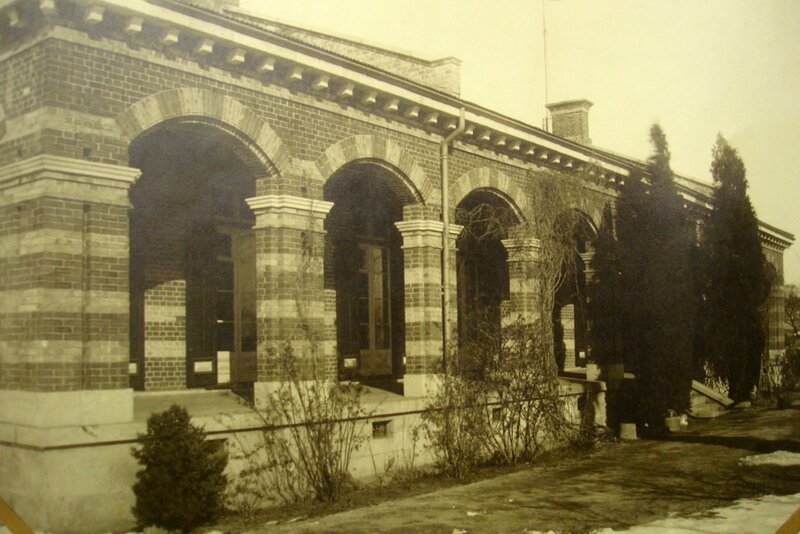 A consular site was bought in 1902 from the Seoul-Fusan Railway Co. but swapped for another site in the same company’s ownership, but with a serviceable bungalow already on it, in 1906. This served as the consulate for a few years before being sub-let in 1909 to Dr Charles Irwin, who continued to lease it until his death in 1933. His son was then given notice to quit and the property was sold. On the south coast of Korea, just west of Pusan. A site of about three acres was bought for a consulate in 1900 but was never built on and was sold in 1924. 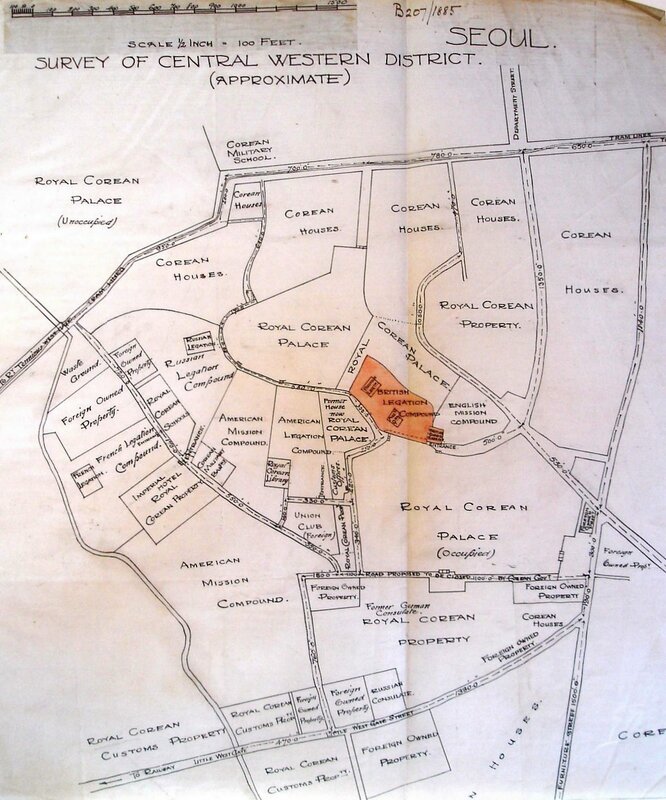 On the south-west coast, a site of rather over three acres in the designated foreign settlement was bought for a consulate in 1898 but was never built on before the consular post was abolished. Part of the site was sublet in 1910 to a Mr Kobayashi for use as a timber yard, and the whole site was sold to a Mr Nogouchi in 1923. A port on the east coast, opened to trade in 1883, but seems never to have developed sufficiently to justify consulate buildings. 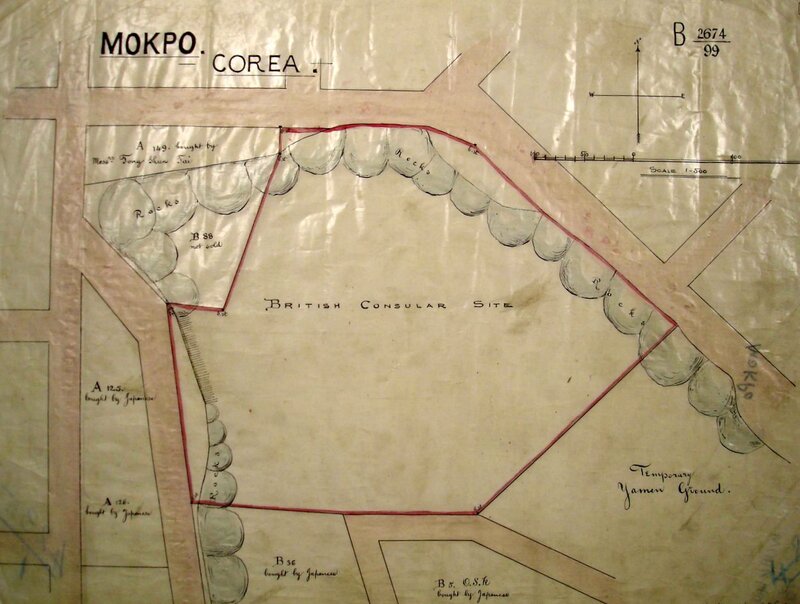 Mokpo: plan of never-developed consular site, 1899.